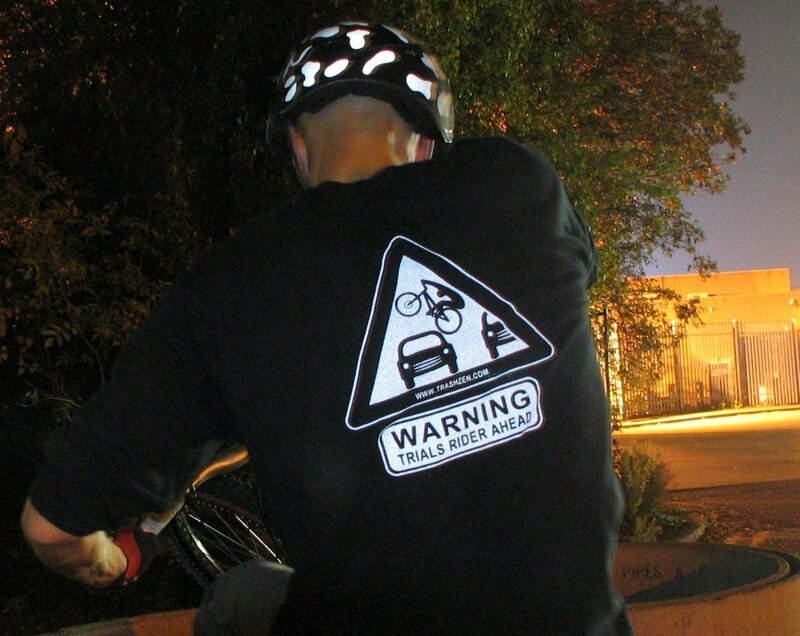 If you found some inspiration on TrashZen, and you want to share it with other riders, you can get the message across with one of these flashy T-Shirts. 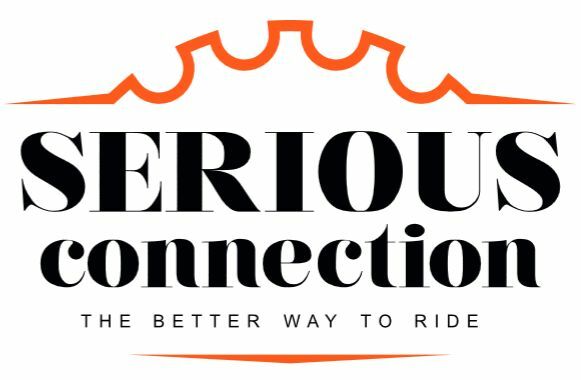 As well as helping towards the maintenance costs of this website, you will bring extra visibility to Trials Riding! 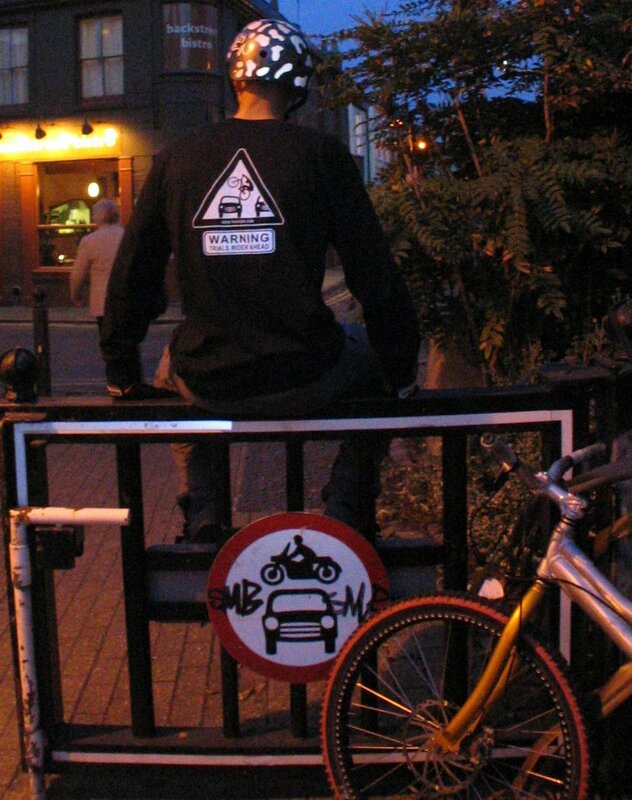 The latest design is printed with high-visibility retro-reflective ink (like on traffic signs) on high quality long sleeve T-shirts. 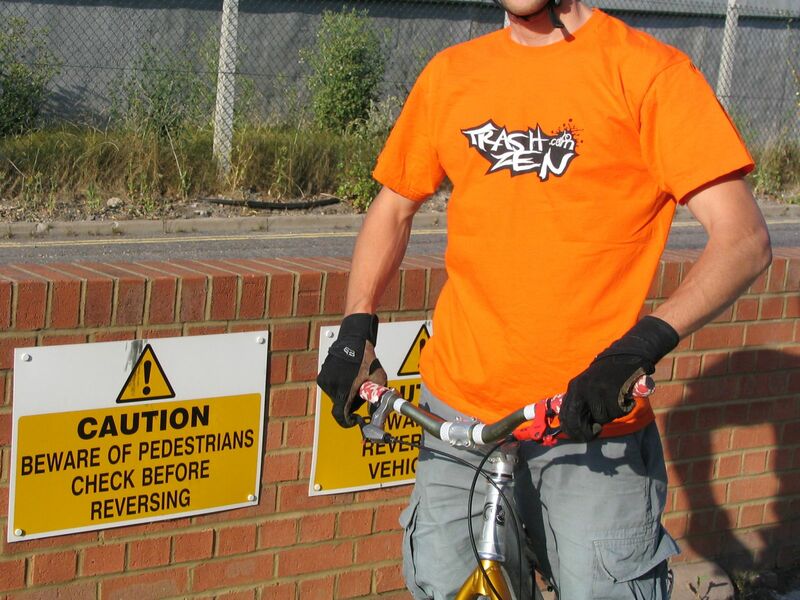 As well as the TrashZen splash on the front from the classic edition, a big traffic sign on the back will warn drivers and pedestrians that they are entering your riding zone. 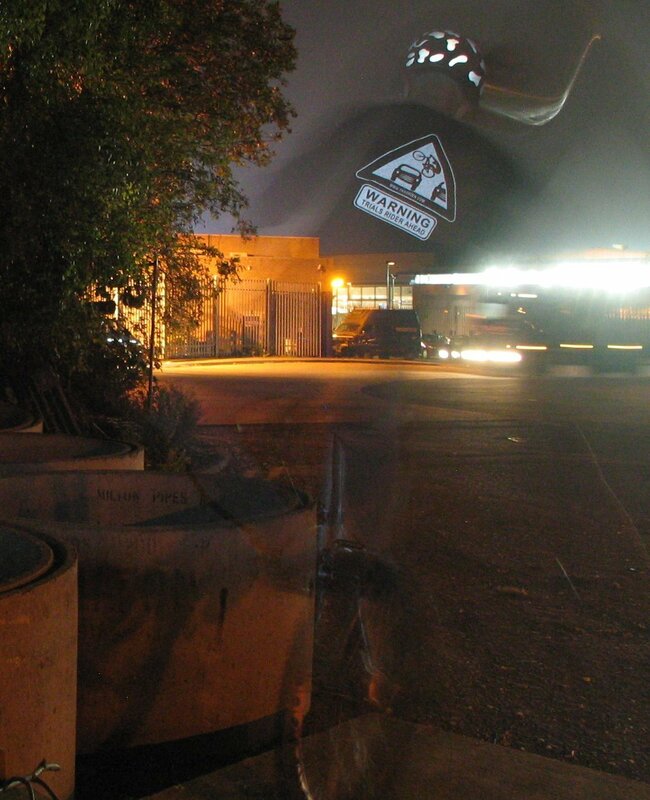 That's bonus safety for these late urban sessions in the dark. 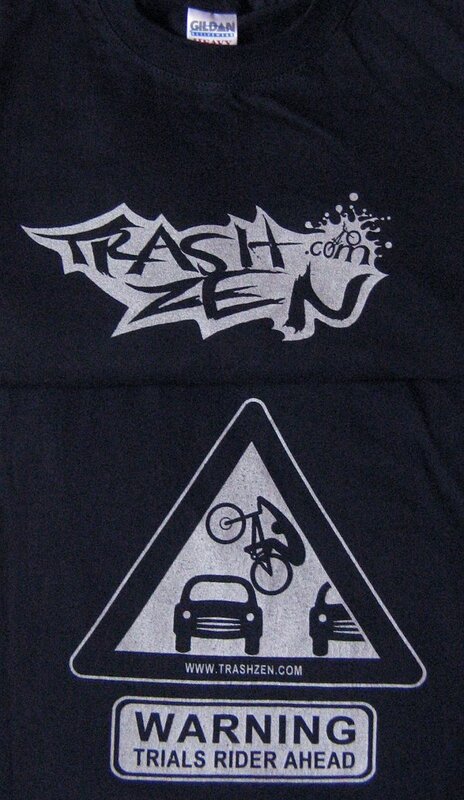 This special edition of high-viz T-shirts also marked the 10th anniversary of TrashZen. 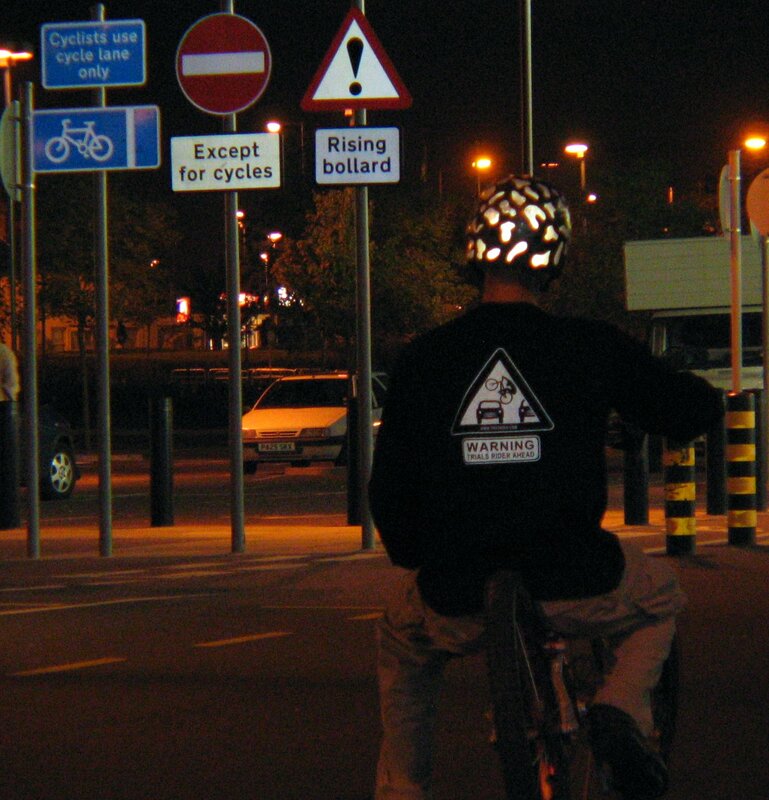 Black with a splashed TrashZen logo screen-printed on the front (25cm across), and a warning traffic sign printed on the back, all in premium retro-reflective ink (silver). Colour T-Shirts: Classic edition: only €12 + €7 for first class postage. 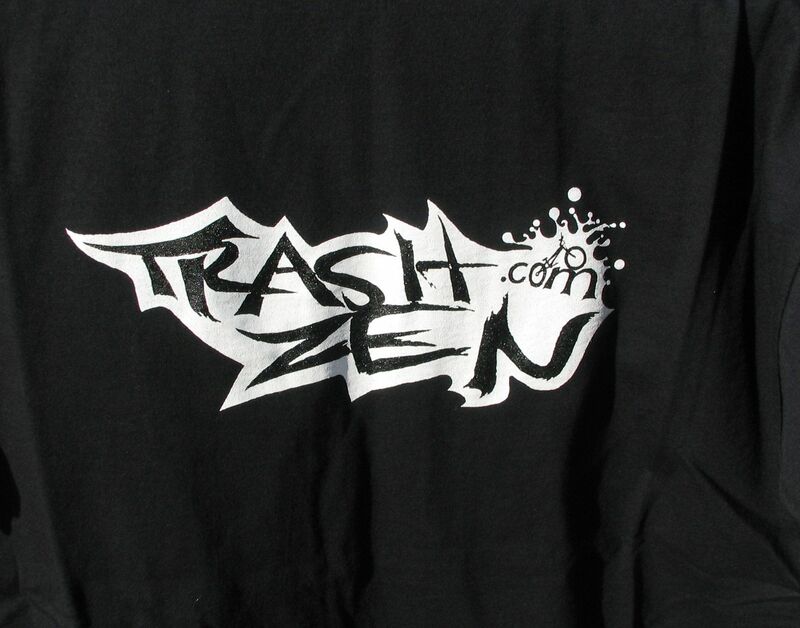 We still have a few colour T-shirts left from the classic edition, with a regular black and white TrashZen logo screen printed on the front (in black & white, or in negative for the black T-shirts). Choose from either Green Camo, Black, or Red. Check them out below. Medium (34/36") or Large (38/40"). Well... 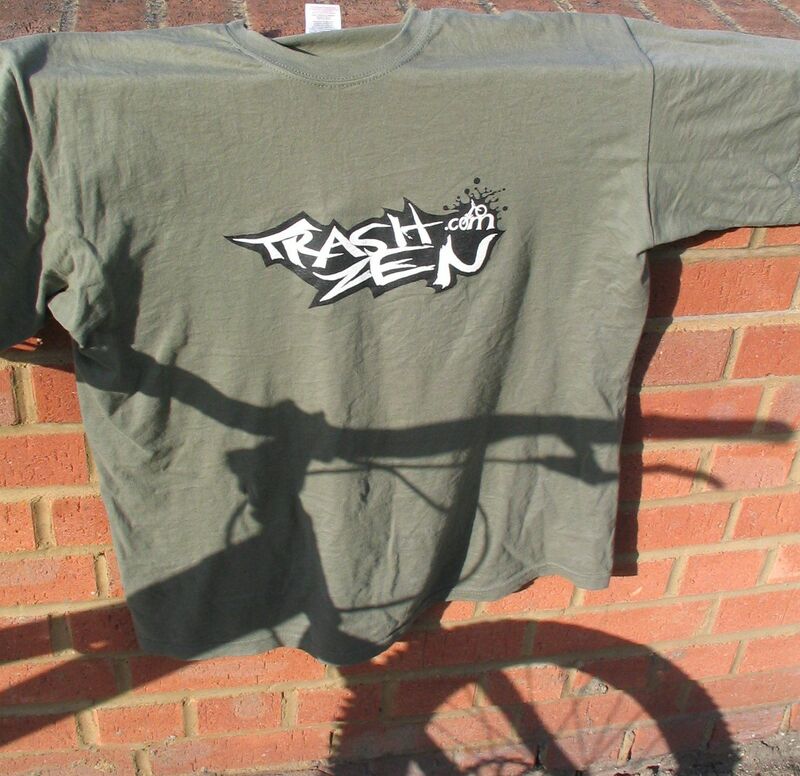 It's all about trashing your bike around, but with the Zen feel of full control in the air. It is like if time had stopped during these little tricky instants of zero gravity, during a big gap jump or during a perfect move. The Zen side of mental preparation, Trashed by the occasional crash... Still not very clear? ... Ride trials, you'll get a clearer picture. 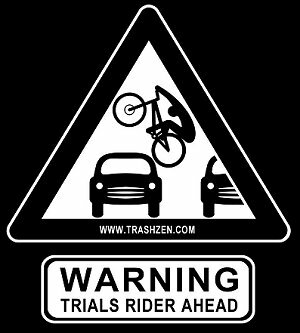 Enjoy the tutorials and get the best of bike trials! 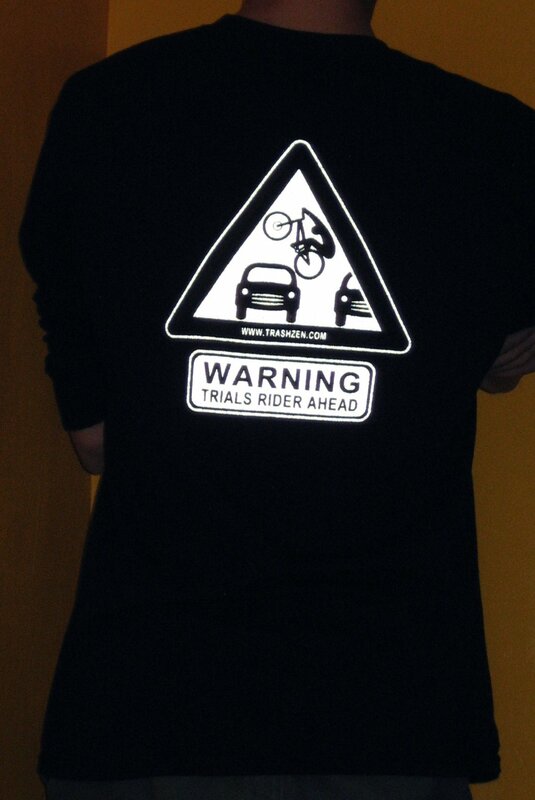 Selling these T-shirts helps us pay web-hosting and development tools for the maintenance and improvement of this site, promoting the sport of Trials Riding.